Founded in 2004, Engineered Cooling Systems, LLC’s focus is to provide the highest quality heat exchangers at the most competitive price. ECS designs and manufactures heat exchangers based on each individual customers needs as well as having a variety of standard designs for those that need a quick off the shelf solution. ECS provides heat exchangers to the Automotive, Power sports, Lawn & Garden, and Industrial Markets with the highest level of customer satisfaction. 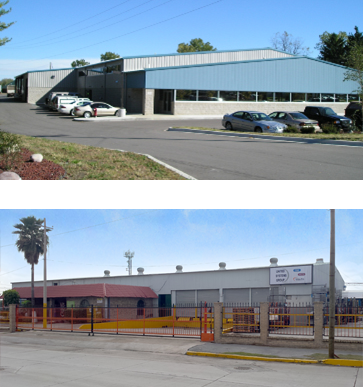 ECS’s flexible manufacturing and brazing process in our Nuevo Laredo, Mexico facility allow us to provide Radiators, Oil Coolers, and Heater Cores to high, medium, and low volume applications with equal efficiency and value. Our ISO/TS 16949, ISO 14001, and Ford Q1 facility gives us the competitive advantage of being the low cost supplier with the highest level of quality standards. We can now supply our customers from our Brighton, MI or Nuevo Laredo MX facilities with a variety of components and systems.